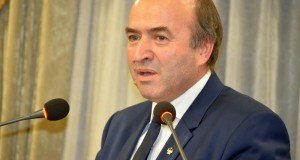 The penitentiary trade union federation (ANP) has slammed the Justice minister’s two-year activity report, asking for minister Tudorel Toader’s resignation. They argued that the minister’s activity report is actually as if he „is turning himself in for incompetence”. The ANP leaders say the penitentiaries have not been rehabilitated, while the safety in prison is on decline. Trade unionists consider minister Toader should be sacked for undermining the penitentiary system. Sorin Dumitrascu, president of ANP claims the results on revamping penitentiaries are zero. „During Tudorel Toader’s mandate as Justice minister, out of those 22 <ongoing> rehabilitation works, on a list of 136 alleged investments in penitentiaries, only 12 are real. The rest are statements of good intentions. The funds allotted to improving conditions across penitentiaries are on a all-time low. Of course, there is a plan to create 8,095 new accommodation seats and to revamp other 1,351. In fact, nothing happens. 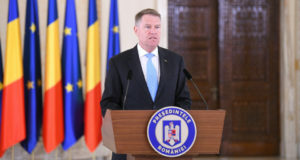 The new penitentiaries from Unguriu and Berceni are still in the feasibility phase after two years and there is only an agreement in principle for financing,” Dumitrascu said. He added that the safety in prisons and in the community is on decline, arguing there have been over 8,000 negative incidents in penitentiaries during Toader’s mandate, with the aggression cases among inmates on the rise (2,920 cases) and against the staff (344). The ANP head revealed that over 15,000 inmates benefited of the jail time cut and 7,000 got out of prisons due to the compensatory appeal law. „Criminals were practically sent back in the community, and 70% of them will get back in prison after making new victims and causing more prejudices,” Dumitrascu said. He accused Justice minister of controlling the penitentiary system while enforcing a „politicizing politics” while contests for job vacancies for the manager positions are still blocked. „The lack of human resources remains severe, with almost 8,000 less employees than necessary. The current staff in penitentiaries have 1 million unpaid extra hours,” the trade union leader stated. On Monday, Justice minister Tudorel Toader has released his two-year activity report, a 85-page document, with almost 20 pages being annexes regarding investments in penitentiaries. The minister boasted with the press conferences on judiciary, with a statistic of the legislative acts initiated by him and also with the actions of dismissing ex-DNA head Laura Codruţa Kovesi and Prosecutor General Augustin Lazăr. 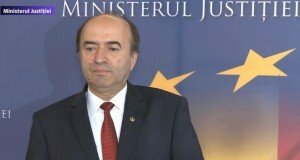 Nevertheless, minister Toader has said nothing about the effects of the compensatory appeal law, through which hundreds of recidivists were released from prison and committed new crimes and nothing about the emergency ordinances amending the justice laws, which prompted mass protests of the magistrates and of civil society.